Ravishing Groom Golden Color Brocade Sherwani With Matching Patiala Style Bottom And Zardozi Work. 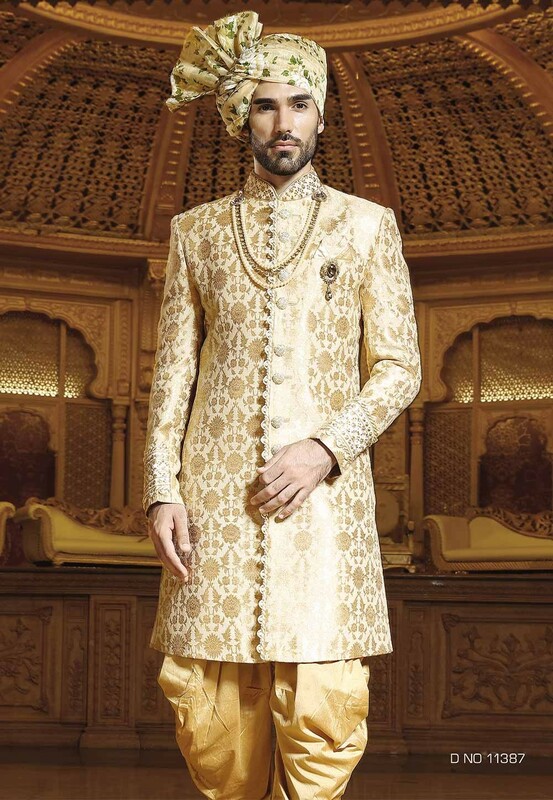 You're reviewing: Golden Color Indian Designer Sherwani. 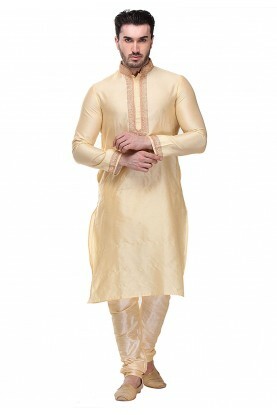 Golden Color Dupion Silk Readymade Kurta Pajama.